Imagine driving to the airport for your flight to Fort Wayne and bypassing all the crowds and the long security lines. Imagine being delivered right to your private charter jet with your baggage in tow and seeing it loaded on board your own private luxury or corporate jet. You board your charter flight and are soon served a drink of your choice — anything from champagne to water. You stretch out your legs without feeling cramped and realize how much room you have. Your chartered flight pilot welcomes you on board, and you’re off to Fort Wayne. This is no dream. When you choose Charter Flight Group as your agent to or from Fort Wayne, you will fly efficiently, conveniently, and in luxury with no lost luggage and no security hassles. Charter Flight Group can arrange for any type of plane you wish when you travel to Fort Wayne, Indiana or to any other global location. All of our aircraft are the latest models, which further ensures a safe flight for you and others traveling with you. Whether you are traveling for business or for pleasure, we can help you choose the right charter for your jet travel at a price you can afford. You can even bring your pet on the private flight, as long as you clear it with us beforehand. We will make your flight to Fort Wayne a delightful experience. From turbo prop jets to actual airliner charters, we can arrange a private jet that suits the number of passengers flying and your pocketbook. Our personnel are on hand to help you 24/7 to secure any type of private aircraft you require for your flight. Because we have been in business for years, we have literally thousands of jet planes at our disposal to use for our charter flights. This inventory includes light jets, middle sized, and heavy jets. All we need is a few hours notice and we will have you up in the air in no time. Ask us about our one-way, empty-leg and on-demand charter flights. When you fly with Charter Flight Group, you can feel confident that you are flying with the best pilots in the world at the controls. We have a perfect 100 percent safety record, and comply religiously with the Federal Aviation Administration’s (FAA) Part 135 standards for aircraft maintenance, operation and licensing. In addition, we insist on third-party inspectors to double-check on our charter flight jets. 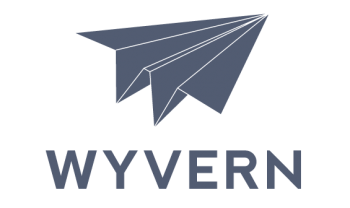 Utilizing the services of the Aircraft Research Group of the United States (ARGUS) and WYVERN, we work hard to maintain our impeccable record. Fort Wayne International Airport (FWA) in northeast Indiana is near I-69/469, seven miles southwest of Fort Wayne. It maintains multiple runways with over half a million travelers flying each year. It has a business center located in the passenger terminal. Smith Field Airport (SMD), a general aviation airport four miles north of Fort Wayne, covers 236 acres of land. It serves as the reliever airport for Fort Wayne International Airport. Once known as Baer Field, the airport began operations in 1925. Flyers who want lodgings near the Fort Wayne International Airport can stay at Staybridge Suites Fort Wayne, Hampton Inn, Hilton Garden Inn, and Best Western Luxbury Inn. Accommodations near Smith Field Airport include Fairfield Inn & Suites, Courtyard by Marriott Fort Wayne, Hyatt Place, Baymont, and Candlewood Suites.If you are not in a rush, Fort Wayne has many interesting attractions. 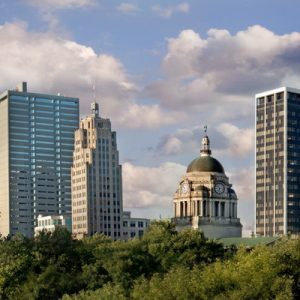 Among them are Fort Wayne’s Children’s Zoo, Foellinger-Freimann Botanical Garden, Fort Wayne Museum of Art, Glenbrook Square Shopping Center, Veterans Memorial National Shrine, Grabill Amish Community, Science Central, and Cherry Hill Golf Club. 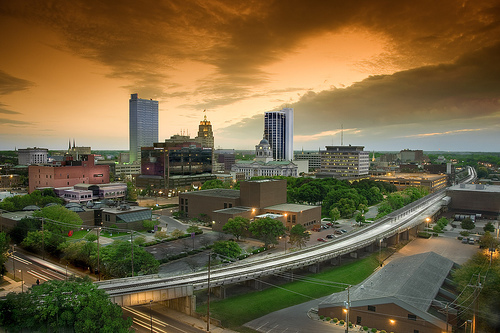 Why Choose Charter Flight Group for your Jet to Fort Wayne, Indiana? Whether you are traveling for business or for pleasure, fly with Charter Flight Group and experience what luxury and true convenience is all about. If you are traveling on one of our charter flights for business, you will find that your private aircraft is a virtual flying executive suite. You can even talk on your cell phone or use the private jet Wi-Fi under most circumstances wherever there is a signal. The privacy, convenience and comfort you are afforded on board your charter jet flight is worth every all the experience. Flying with us ensures that you will fly safely and arrive to or from Fort Wayne trouble-free.